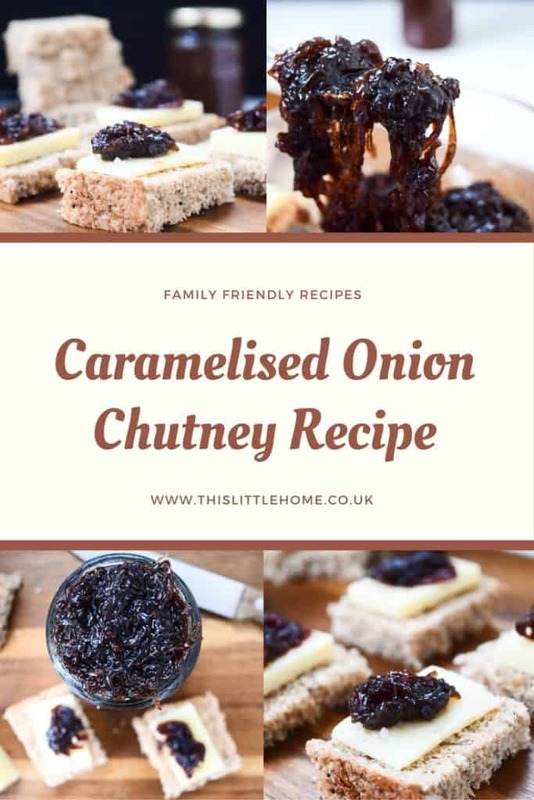 You can use this delicious caramelised onion chutney for so many things, or simply serve with cold meats and cheese. A while ago we dined out on pizza and for starters they served the most amazing pizza bread topped with caramelised onion chutney. Since then I have been hooked! I always have a jar to hand in the cupboard, but I figured I needed to make my own. I am so glad I did, because it tastes amazing! Sweet caramelised onions! Give me this with a block of cheese and I’ll be a happy girl for the day! The only hardship to this recipe is cutting the onions, I can’t say I am a huge fan of stinging eyes, but who really is?! I have actually resorted to wearing goggles before and apart from looking slightly crazy, it does work! 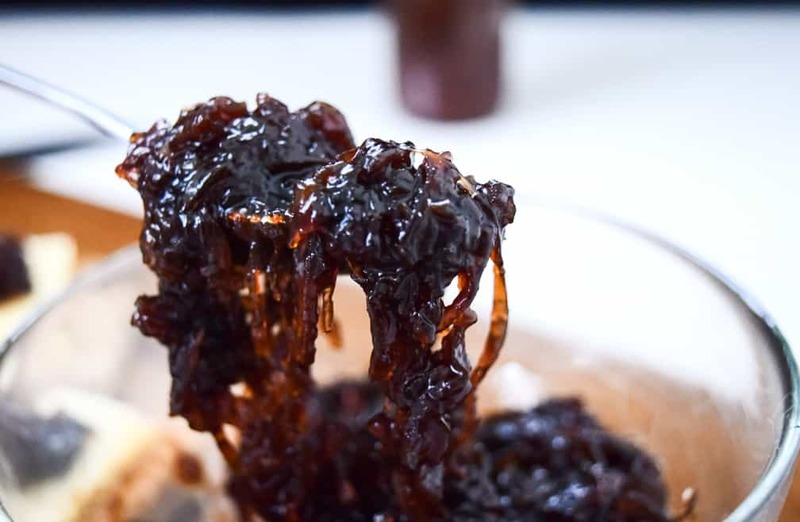 The best thing about this chutney is that it is so versatile! I mean, onions go with loads of things, right? Add it to gravy, pop it on a pizza, a filling to sausage rolls, and so, so many more things! So it’s definitely worth making a jar or two. Looking for more Chutney Recipes? 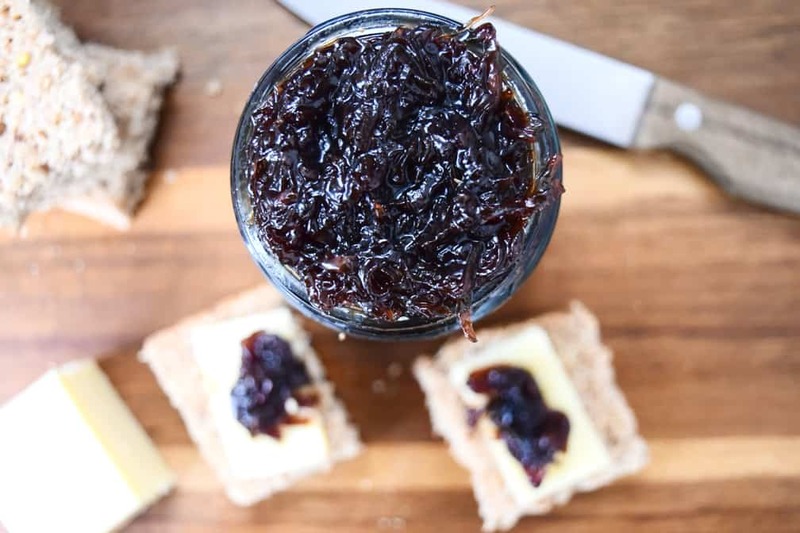 You can always make a batch, jar it up and give away as a gift, like this Autumn Chutney I made for Christmas. 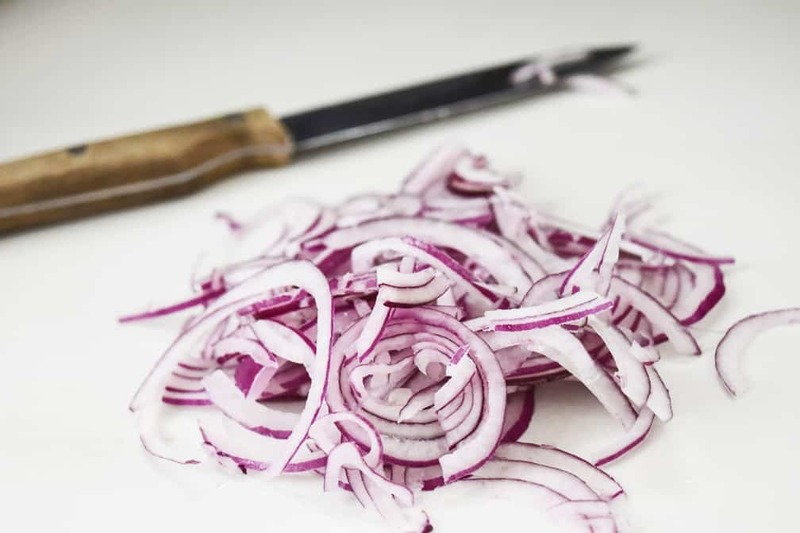 550g Red Onions, Finely Sliced. Heat the oil in a large saucepan and add the finely sliced onions. Cook over a gentle heat for about 20-30 minutes until the onions are soft and begin to darken. Add the muscovado sugar, stir through and cook for another 10 minutes. Add the rest of the ingredients and simmer over a low heat for about an hour until it has thickened and the liquid has reduced. Store in sterilised jars. The chutney can be eaten straight away once cool, however it’s best to let the flavour develop for a month.